Karono Science&Technology Co.,Ltd was founded in 2015 which is the leading supplier on optical fiber communication and the products around it. Our production base located in Shenzhen, which have a skilled professional production team. We are long-term focus on about optical communications solutions on link transmission medium solution, and also production and sales in related industries. Our company established a perfect production management system, production of conventional fiber optic patch cord, MPO/MTP Jumper, SEP modules, Multimedia jumpers for automobiles and surrounding complementary products. At the same time, we have also established a professional e-commerce platform (mpofibers.com) around the optical fiber products. Our object is to offer more convenient, reliable and profession related products and services for customers on the side of data center solutions. Karono will be your better choice. Karono quality philosophy: Meet the international standards in terms of service, quality and consistency for providing world class products and services to meet our customers’ requirements. The quality assurance system is maintained at all levels within the Company and throughout the entire life cycle of our products and services. Mpofibers.com is an official online store of Karono Inc. It offers one-stop Datacenter solution and products, including compatible Transceivers, DAC cables, AOC cables, Fiber Optical, Patch-cord, CWDM/DWDM passive/active systems, Network Adapters and more. 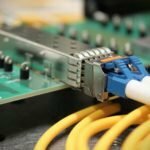 As a commitment to offering high-quality, reliable and customized products, Mpofibers.com develops and tests new products to meet the growing Data Centers and High Performance Computing market needs. We guarantee only premium materials and quality engineering are used in the designing and manufacturing for the fiber and cooper products of Mpofibers.com and the whole production process are under the highest quality control.